Fiber Phone is a home phone service with a modern twist to dwindling numbers of landlines across households. 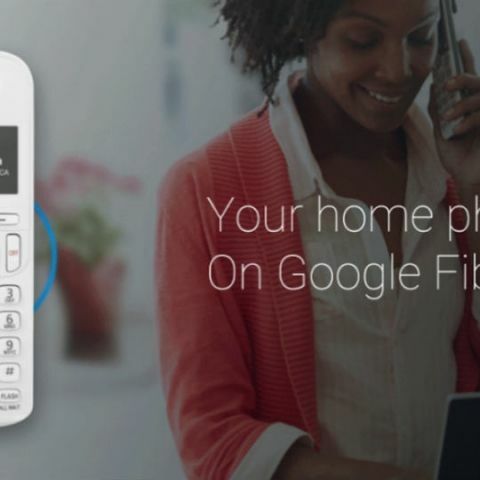 Google, on Tuesday, announced the Fiber Phone via its official blog. To use Google’s Fiber phone service, you’ll need to attach the ‘Fiber phone box’ to an existing landline handset to make calls from it. The interesting bit is, you’ll also be able to take and dial phone calls using the same landline number but on-the-go, using wireless devices like smartphones or tablets. The Fiber Phone is based on cloud services, which enables users to keep the phone number on the cloud. Google’s Fiber phone service will be sold in the U.S. for now, alongside its broadband and video services. Initially, it will be offered in select cities where the company has set-up its all-fiber network. The service costs $10 a month, which allows unlimited local and national calls. For international calls, it charges the same rates as its Voice service. Interestingly, on the same day, the inter-ministerial telecom commission of the Indian government removed a major policy hurdle by issuing clearance for inter-connect agreements between telecom operators and Internet Service Providers (ISPs). We will soon be able to dial landline and mobile numbers from apps like WhatsApp, Skype and Viber. Although a declaration might not be heard any time soon, we might see internet-friendly landline phones like Fiber phone in the Indian market too, some day. Landline connections have been a dying channel for a while, with many families not having a registered landline in today’s wireless world. With connected services adding wireless capabilities to the perks of a landline connection, will we see a revival of landline services, any time soon?